We continue to uncover the bright figures that will shape the future – and already the present to some degree – of the world of anime. This time we tackle an up-and-coming artist at Studio SHAFT who exploits his unusual background to craft unforgettable scenes as both an illustrator and key animator. 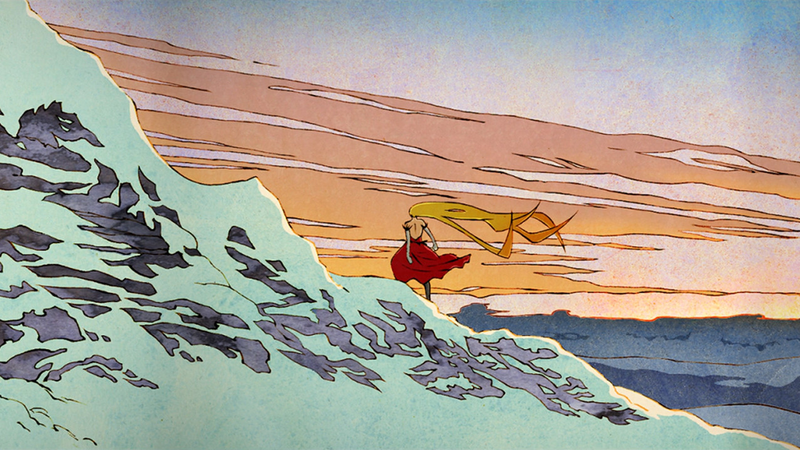 It goes without saying that exuberant animation isn’t inherently superior. If anything, on this site we attempt to highlight equally masterful subdued work since that tends to be underappreciated. There’s no doubt however that it’s easier to get noticed as a youngster if your art is on the flashier side. And that’s how, while technically still being an in-betweener, Taiki Konno began catching the eye of fans. In that regard he was quite lucky; as much as we champion in-betweening needing to be treated as the legitimate job it should be, it’s a task with very little room for personal expression. No matter how talented you are, in-betweening means following a strict series of guidelines – you must fulfill someone else’s vision rather than your own after all. But rather than waiting until his training as animator was over to prove he had a unique artistic voice, Konno was given chances to express himself while still refining his animation skills. Was it simply luck? Not at all. The truth is that someone at studio SHAFT definitely knew what they were doing. Konno graduated from the Seian University of Art and Design in 2012, having studied under their Japanese-style Painting Course (日本画, nihonga) in the fine arts department. Not only are his roots quite traditional then, but even the materials and pigments he grew accustomed to using – iwa-enogu, suihi-enogu – were far from the standard tools of the trade for anime-makers. This kind of background isn’t unheard of in the industry, of course; the talented Momoka Hase attended the same course and even shared exhibits with him, then graduated a year before he did, joining Kyoto Animation where she’s remained ever since. The thing is, she belongs to their art department, which is a much more natural transition for someone with their specializations. Mind you, Seian also offers an animation course. If just joining the industry as a 2D animator had been Konno’s goal all along then, he could have taken a much more standard route. Rather than focusing on a single aspect though, he attempted to become a more multifaceted artist, and that bet quickly paid off. The reason I’ve put emphasis on his studies is that, as I said, the studio he joined was aware of his particular skills. 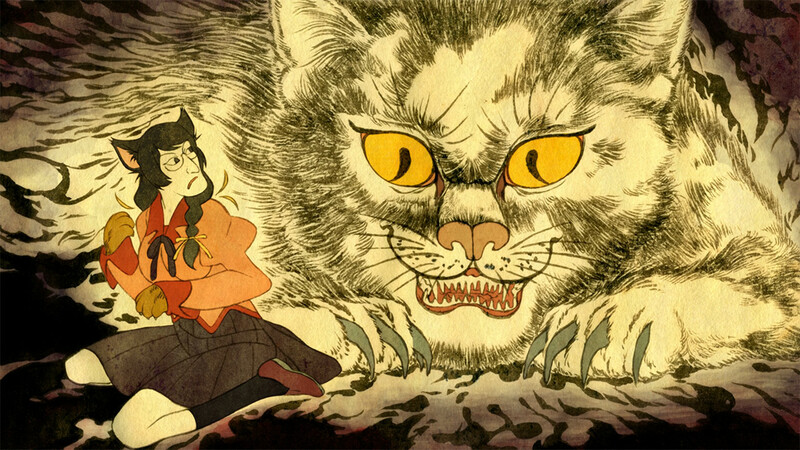 While still a newbie in-betweener, Nekomogatari Black #3 allowed him to depict the ancient origins of a supernatural being with appropriately Edo era-style art. This was the first of many chances he received to put his illustrative prowess to good use. And despite the specificity of his studies, that entailed way more than Japanese-style pieces; he could quickly move from Hokusai-inspired work to grotesque ink works that might as well have slipped through time from 19th century Europe. 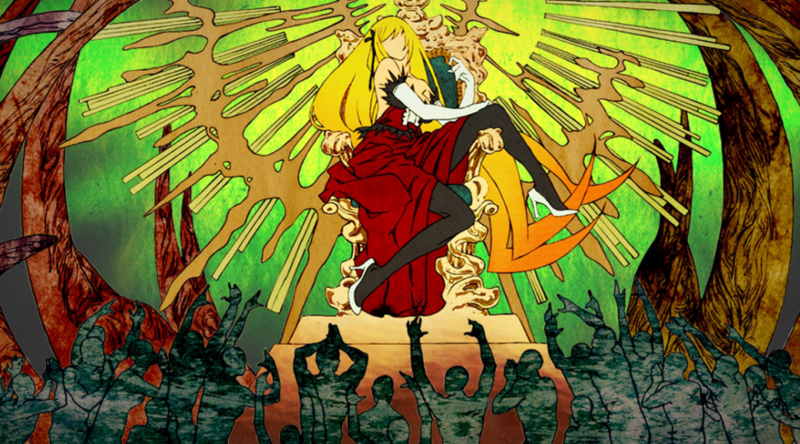 It’s not just standard illustrations, since Hanamonogatari allowed him to mimic the effect of shadow plays on yet another unforgettable sequence. 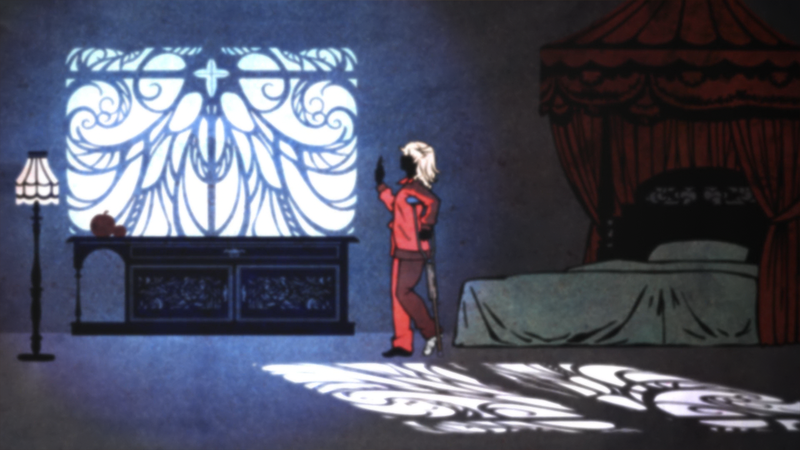 And of course, he had the versatility to draw stylized modern anime designs just as well. I recommend skimming through this gallery I put together a couple years ago, featuring his confirmed work alongside a couple of guesses, so you can see the range of his illustration work. 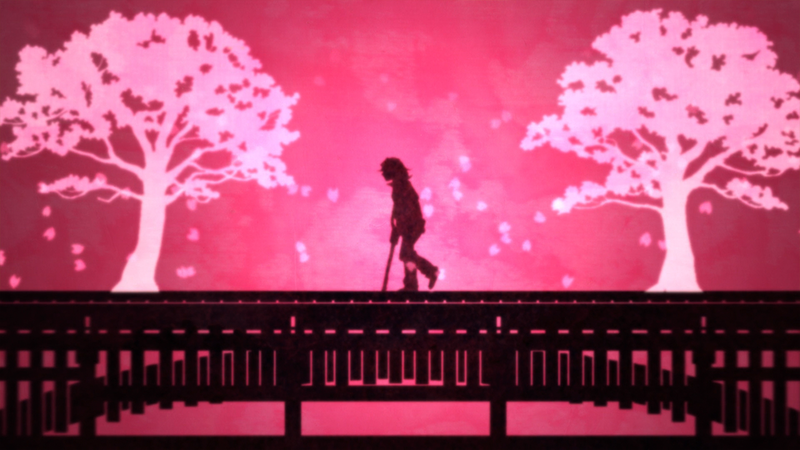 During that period he put together what might very well be his magnum opus: Onimonogatari Part 2, which featured a seemingly endless series of scrolling pictures that spanned almost the full episode. Even Konno himself was dumbfounded over how much trust was put in a newbie like him, moreso considering how non-standard of an avenue this was. Anime regularly gets away with limited animation, but we’re talking about quite literally a picture drama, and that’s a risky gamble. With nothing but still images and the narration of Shinobu’s past, his work had to pack quite the punch to stay engaging for that long. And that it did. SHAFT have earned a reputation for their disastrous management skills, but they also have built a brand that embraces collaborations with unique artists. The likes of Hajime Ueda and Gekidan INU CURRY have lent their distinctive voices to many of the studio’s projects over the last decade, so of course they would be willing to embrace a similarly idiosyncratic creator who works with them to boot. And if we look at individuals rather than the company itself, I would highlight the effect Yuki Yase had on Konno as well. 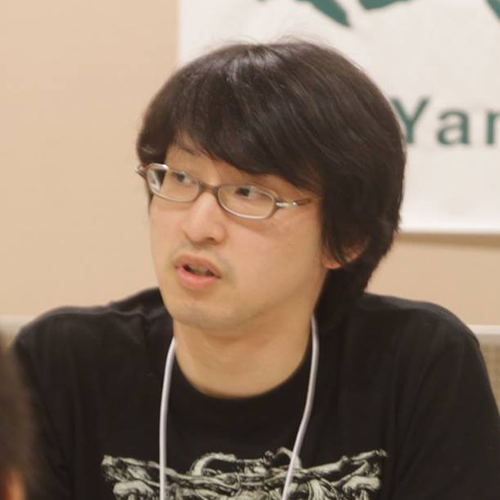 It was on his arc of Monogatari that Konno got to draw those memorable scrolls, and when Yase was put in charge of the TV series Mekakucity Actors, he once again trusted him. Konno had full creative control – storyboard, direction, animation – over these unsettling diary sequences in episode 9, which turned out to be one of his most interesting pieces of work. All this talk about his illustrations is well deserved as you can see, but it would be rude to imply that’s all there is to Taiki Konno. We’ve been looking at an animator employed by studio SHAFT, who does in fact animate. Truth to be told, he’s actually been focusing on that much more ever since he was promoted to regular key animator, to the point that he hasn’t been credited for any of those spectacular still drawings recently. I was honestly relieved when I saw him start to get credited for neat snippets of acting, since they finally served as confirmation that his crisp character art could translate just fine into movement. It’s worth noting that he had a passion for anatomy since his student days and unashamedly pursues eroticism through his drawings – which to be fair can be said about many young artists, but he’s damn good at it! – so it’s no wonder he gets entrusted with certain scenes. Konno has gradually climbed the ranks as an animator, to the point of being as highly regarded within the studio as he was when doing illustration work. SHAFT’s recent theatrical efforts, like Kizumonogatari and Uchiage Hanabi, have all credited him alongside the animation aces at the studio like Ryo Imamura, Genichiro Abe and Genki Matsumoto. Sure he’s not quite on their caliber yet, but he can proudly stand by their side as an animator already. And when you consider that it’s only one of his many facets as an artist, his potential becomes clear. We don’t know whether he will switch his focus back to jaw-dropping scrolls, continue evolving his art in motion, or pursue both goals as he’s proven he can. For all we know, he could aim at directional duties, crafting a project that exploits his personal strengths from the get-go. Chances are that not even Konno himself knows the path he’ll take. What we do know for a fact though is that he’s not only an up-and-coming anime star to look forward to, but someone we should already be paying attention to right now. Awesome. I’ve loved his artwork since Onimonogatari, and have followed him on Pixiv without realizing it was the same person for a while as well. I didn’t realize he was also an animator either. He is insanely talented. Love his style and the eroticism in his art truly is pretty exceptional. I don’t mind it, not going to lie. The visual representation of anime is complicated and requires lots of dedication, though, knowing this it is made even more so with each article. A strong appreciation for such things even when a story could be unbearable. http://twitter.com/teamYamahitsuji/status/1011253556991569920 so did he move from Shaft to Colorido (?) or is it an extra thing he participates in on the side? Arguably SHAFT’s best two animators left the studio to become freelance – Imamura was stationed at Pierrot for a while before moving to 8-bit still in freelance fashion, while Konno went to hang out with his acquaintances. He’s always contributed to Kawano’s books so it’s no big surprise that he followed him on that venture, though it’s exciting nonetheless. I don’t think he’ll be a proper part of Colorido, but expect him to pop up in Penguin Highway for sure.